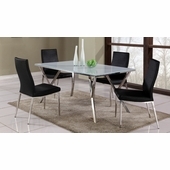 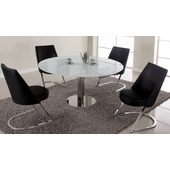 Beautiful 5 piece dining set features Super White tempered glass top and comfortable cantilever side chairs. 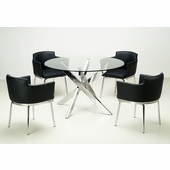 Chairs are upholstered in white faux leather and both showcase a modern chrome finish for the contemporary look. 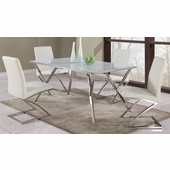 Metal Chrome legs sloped outwards.